Under the Patronage of the Minister of Education, H.E. Dr. Azmi Mahafza, the Ministry of Education in cooperation with Orange Jordan honored the teachers who participated in the implementation of the “Menhaji Al Tafaouli” e-learning program, in the attendance of Secretary General for Educational Affairs, Mohammad Al-Okour, Deputy CEO/Chief Financial and Strategy Officer at Orange Jordan, Raslan Deiranieh, UNICEF Deputy Representative, Ettie Higgins and CEO of e-Learment, Ashraf Nairoukh, as well as representatives from international organizations and the media. During the ceremony, the results which demonstrate “Mahnaji Al Tafaouli”’s impact on improving the learning of students inside the classroom were presented. 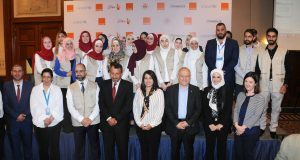 The Ministry of Education and Orange Jordan launched the project in 2015 with the aim of providing free educational content to students attending public schools, in order to activate the official curriculum books, in cooperation with Orange Group, the UNICEF and e-Learment; for digital training and development. In 2018, the total number of schools covered by the project reached 37 schools across the Kingdom for grades one through seven for the subjects of science and mathematics. “Menhaji Al Tafaouli” program aims to develop the quality of learning in the Kingdom, where Orange Jordan launched this initiative as part of its commitment to support and develop e-learning programs and initiatives, through strategic agreements signed with its partners, and in cooperation with e-Learment, and under the supervision of the Ministry of Education, represented by Queen Rania Center for Education and Information Technology, to produce and develop e-learning education within the scope of the Ministry of Education’s curriculum, and in the form of easy-to-browse e-books, interactive audio-visual learning material, in addition to providing teachers and students with the necessary technical support and comprehensive training. Secretary General for Educational Affairs, Mohammad Al-Okour, raised the program and considered it a very important project for the ministry, as it represents a model for spreading technology within the educational process and in accordance with the latest teaching methods in the world, pointing out that this program offers the ministry an opportunity to study and evaluate this model in order to develop it to meet the needs of teachers and students equally. He also stressed the ministry’s commitment to expand this program to include additional schools, thanking the partners for contributing to the success of the program. Commenting on the occasion, Deputy CEO/Chief Financial and Strategy Officer at Orange Jordan, Raslan Deiranieh said: “We are delighted with this fruitful cooperation with our partners and proud of what we are doing to contribute to the advancement of the digital transformation in the education sector, in order to improve its quality and outcomes in the Kingdom. Our company’s top priority is to employ technology for education”. Deputy Representative of UNICEF, Ettie Higgins said: “Through this project, we aim to deliver the idea of e-learning to reach as many children as possible, in the aim of developing the educational and teaching environment across the Kingdom, which will offer children better opportunities for the future”. On his behalf, CEO of e-Learment Ashraf Nairoukh said: “With the beginning of the fourth year of implementing the project, we developed it in a way to assist teachers in organizing their lesson plans, and with the introduction of technology to the lessons, there was a challenge in controlling the actual lesson in terms of technological education resources and routine lesson procedures. As a result, we have developed a system that places intelligent study plans, combining teachers’ procedures with technological sources and any other external ones. As the students were our top priority, we have been able to take into account the individual differences between them, where through this plan, the teacher can develop different procedures and apply them in different ways that match students’ needs and differences in their learning abilities. It is worth noting that this initiative affirms all partners’ commitment from the public and private sector in Jordan, to improve the education sector in Jordan, and is part of the social responsibility to improve learning outcomes in public schools and integrate technology into the classroom. ICS Financial Systems Limited (ICSFS), a global software and services provider for banks and financial institutions and a Gold level member of Oracle PartnerNetwork (OPN), today announced successful and unmatched results of high-watermark benchmark performance of its ICS BANKS® Universal Banking Application on Oracle Exadata environment. Performed in August 2018, at Oracle’s UK Labs, ICSFS benchmarked its ICS BANKS® software suite on Oracle Exadata Database environment. The benchmark covers both Oracle Database Enterprise Edition 12c and 18c. The results have demonstrated ICSFS’ ability to derive remarkable and competitive performance of ICS BANKS® running on Exadata servers. ICSFS generated ICS BANKS® data representing tier 1 and tier 2 universal banking activity volumes of 63 million customers, 630 million accounts, 5,000 branches and 60,000 concurrent users. High-Watermark results were achieved on 18c & 12c Database with simulating 60,000 concurrent users, a throughput of 35.5k (35,577) financial transactions per second (TPS) on 18c Database and 32k (31,972) TPS on 12c Database are sustained during the test period of 35 minutes. The ATM & E-Channels benchmark revealed an overall throughput of 128k (128,448) TPS on 18c Database and 114k (113,858) TPS on 12c Database were achieved during the 20 minutes test. While ICS BANKS Digital Banking platform achieved results that exceeded expectations and success criteria; simulating 63 million online IBS registered users; whilst 200k concurrent users were working at the same time making a throughput of 143K TPS on 18c Database and 128K TPS on 12c Database; resulting in 257.5 million transactions on 18c Database and 231.5 million transactions on 12c Database within 30 minutes. During this test the system supported 1.25 million users log on within a 30-minute window. The enormous and tremendous tests of End of Month Capitalization Batch processing 630 million Interest Accounts in 4 minutes window resulting in an unmatched batch throughput of 262k (262,354) accounts per second. ICS BANKS provides a complete suite of banking business modules with a rich sweep of functionalities and features, addressing business needs and automating accounting processes, as needed, to improve a bank’s business performance. ICS BANKS has always been a pioneer in utilising the latest technology to serve financial institutions. In addition to its embedded Service-Oriented-Architecture (SOA), the system is deployed in a multi-tiered setup that runs on a web thin client. 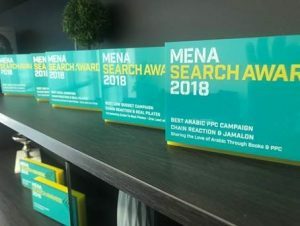 Chain Reaction has nabbed seven awards at the MENA SEARCH AWARDS 2018 as well as 2 GOLD awards at the Stevie Awards. MENA Search Personality of the year which was received by Chain Reaction’s CEO and founder; Saif Jarad. 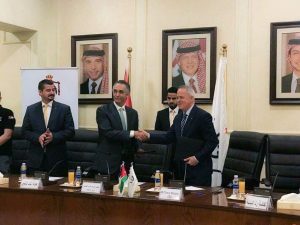 The Ministry of Youth and Orange Jordan signed a joint cooperation agreement on Thursday, under which the company will equip three halls in youth centers affiliated to the ministry in the northern, central and southern regions, which include: Kafranja Center for Women in Ajloun, Young Arda Women Center in Balqa and Aqaba Youth Center. The agreement was signed by the Minister of Youth, His Excellency Makram Al-Qaisi and Orange Jordan’s CEO, Thierry Marigny. Al-Qaisi said that the ministry has included in its action plan a study about the present situation of youth centers and its rehabilitation, whereby signing the agreement will result in the rehabilitation of three youth centers distributed across three regions, through equipping its halls digitally, to suit the aspirations of young people, in addition to offering training to the youth trainees, whom are considered a main link with them, as he valued the partnership with Orange Jordan and the role it plays in supporting Jordanian youth. From his side, Marigny affirmed that this agreement is in line with the objectives of the company’s five-year corporate strategy “Essentials 2020”, which focuses on increasing awareness on technology usage and benefiting from the availability of a strong internet, through the company’s network, which is considered to be the best. Additionally, it serves the company’s commitment in contributing to reducing the digital gap in the local community through providing modern learning methods based on digital education. Regarding the role of Orange Jordan in this agreement, Marigny explained that under this agreement, which falls under Orange Jordan’s digital centers umbrella, the company will train the trainers who are responsible for helping young people gain new skills in three main topics: communication, digital, leadership and entrepreneurship skills. The company will also provide integrated telecommunications solutions to support training and the rehabilitation of the halls, in order to create a suitable training environment. He added that supporting these youth centers, that support young people throughout the Kingdom, will develop their knowledge and increase their competencies, which will enable them to deal with the latest developments and challenges efficiently and effectively. ESKADENIA Software, the leading Jordanian-based software products and technology provider, is delighted to announce that Diva Skin & Dental Care Clinics has selected ESKA® Carenet® clinics management system, ESKA® Clinics, to bring its medical practices to a new level of efficiency. ESKADENIA provided Diva Skin & Dental Care Clinics with an automated clinic management system that empowers healthcare providers with a secure method of effectively addressing their practices of medical, financial, administrative and regulatory needs. ESKA Clinics has been designed to enable healthcare providers to manage patient registrations, appointments, cases, referrals and automated alerts. Furthermore, the system supports healthcare providers with case management, recommends treatment plans and provides medical practices with comprehensive financial solutions to process invoices and e-claims. The system also allows doctors to track their daily work in all of their medical cases and follow-up visits. ESKA Clinics, which is part of ESKA® Carenet® healthcare management suite, can also be delivered on-demand via the Cloud as a SaaS (Software-as-a-Service) solution. “We are really glad to have the opportunity to work with ESKADENIA Software because of their professionalism and excellent customer service. We look forward to working with them on future projects,” GM of Diva Skin & Dental Care Clinics Amer Shehadeh stated. Globitel, a leading telecom and customer care solutions provider, announces that they have developed a new voice authentication solution using groundbreaking technology. The new solution will be a part of Globitel’s SpeechLog Suite and it will be called SpeechLog Voice Authentication. SpeechLog Voice Authentication is the sixth solution to be added to the SpeechLog Suite. This solution allows contact center agents to identify callers by their voice only using cutting-edge biometric voice verification technology. Like fingerprints and patterns of people’s irises, vocal characteristics (voice print) are unique for each individual. With its simple integration, your contact center is readily equipped with this top-of-the-line technology. 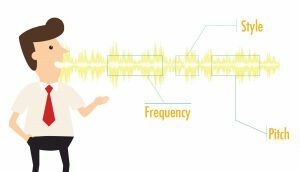 Several features characterize the vast utility and impressive function of SpeechLog Voice Authentication. For example, with its analysis of correct or rejected identification, it helps in measuring the accuracy of the system and effectiveness in matching individuals to their voice prints. Another great feature is that the solution intelligently adapts to enhance existing voice prints whenever a legitimate caller was labelled fraudulent by the system. Security is a major factor for contact centers, which the solution caters to. Multi-level authentication, encryption, fraudster control, etc. are some security features your contact center benefits from through SpeechLog Voice Authentication. According to analyst firm Contact Babel, most contact centers currently take up to 60 seconds to verify the identity of a customer. Voice authentication technologies reduce caller identification to 10-15 seconds. A 50-45 second reduction in call handle time could save millions annually for contact centers. Advanced Business Solutions just welcomed a new client to the family! 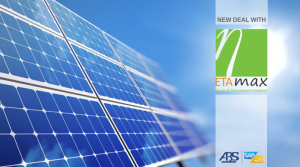 ETA-max Energy & Environmental Solutions is a regional leader in Solar Photovoltaic Systems, providing reliable and environmentally friendly power to small residential accommodations as well as commercial, educational and industrial facilities. With exceptional engineering capabilities and unparalleled technical experience, ETA-max proves to maintain a successful track record with clients in Jordan, UAE, KSA and more. Thanks to our deep solar industry experience, ETA-max, alongside Hanania Energy and Philadelphia Solar, can easily improve productivity and stay competitive in the market. Implementing SAP Business One will help streamline business processes by combining data from a variety of sources into one, integrated platform – later resulting in reduced costs and risks. To learn more about ETA-max, go to www.eta-max.com We look forward to this journey together! أعلنت شركة الخدمات الفنية للكمبيوتر إس تي إس (STS)، الشركة الرائدة في تقديم حلول تكنولوجيا المعلومات في الأردن والمنطقة، عن انضمام أنيس التل في منصب الرئيس التنفيذي التجاري (CCO). وسيكون التل أول من يشغل هذا المنصب المستحدث في الشركة، حيث ينضم إلى فريق العمل متمتعاً بخبرة تناهز 25 عاماً من العمل في مجال تكنولوجيا المعلومات والاتصالات، تتمحور حول تطوير الأعمال ومبيعات الحلول والخدمات السحابية، بالإضافة إلى الخدمات المُدارة والحلول المتكاملة. 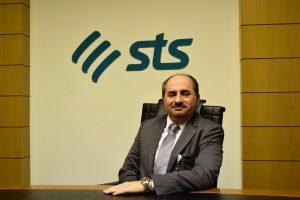 وانطلاقاً من استراتيجية التحول الرقمي الجديدة التي تتبناها إس تي إس (STS)، يأتي قرار استحداث منصب الرئيس التنفيذي التجاري بهدف التطوير والتوسع في مجالات الحلول السحابية والخدمات المدارة، والتركيز على حلول خدمات البنى التحتية، والتي شكّلت على مر السنين أهم الخدمات المقدمة. وكان التل قبل انضمامه إلى عائلة إس تي إس (STS)، قد شغل عدداً من المناصب القيادية، بما في ذلك دوره كمدير إقليمي لشركة آي دي سي (IDC)، حيث كان مسؤولاً عن منطقة الشرق الأوسط وأفريقيا وتركيا (META)، كما شغل منصب الرئيس التنفيذي التجاري لشركة إي هوستينغ داتا فورت (eHosting DataFort). وقد عمل أيضاً مع العديد من الشركات العالمية الرائدة، بما في ذلك سيسكو سيستمز (Cisco Systems)، وديل إي أم سي (Dell EMC)، وأكواتيف (Acuative)، المعروفة سابقاً باسم ثرو بوينت (ThruPoint)، إلى جانب شركة الشرق الأوسط لأنظمة المعلومات (Mideast Data Systems). وبهذه المناسبة، أكد أيمن مزاهرة، الشريك المؤسس والرئيس التنفيذي لشركة إس تي إس (STS)، أن انضمام التل إلى الشركة يمثل خطوة في الاتجاه الصحيح، معرباً عن تطلع فريق عمل الشركة إلى العمل معه بغية تحقيق أهداف ورؤية إس تي إس (STS) المستقبلية. من جانبه، أكد التل اعتزازه بهذه الخطوة قائلاً: “إنه لشرف عظيم لي أن أنضم إلى عائلة إس تي إس (STS) التي كانت وما تزال إحدى أكثر الشركات تقدماً في مجال تكنولوجيا المعلومات والاتصالات في المنطقة ككل، وأنا أتطلع بانضمامي إلى فريق العمل إلى ترجمة رؤية إس تي إس (STS) على أرض الواقع لنقدم الممارسات المثلى لمساعدة الشركات والمؤسسات على التطور المستمر”. 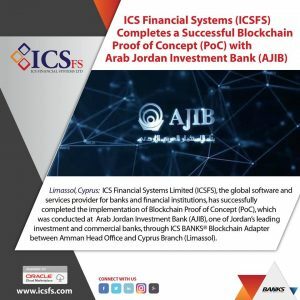 ICS Financial Systems Limited (ICSFS), the global software and services provider for banks and financial institutions, has successfully completed the implementation of blockchain proof of concept (PoC), which was conducted at Arab Jordan Investment Bank (AJIB), one of Jordan’s leading investment and commercial banks, through ICS BANKS® Blockchain Adapter between Amman Head Office and Cyprus Branch (Limassol). ICS BANKS® Blockchain Adapter users will benefit from such a platform to overcome the challenges that it faces in terms of security, delays, faster automated transactions and the exclusion of third parties. ICS BANKS® Blockchain Adapter is integrated with Oracle Autonomous Blockchain Service running on hyper ledger Fabric platform, ICS BANKS® Core Banking System and ICS BANKS® Digital banking platform. His Excellency the Minister of ICT and Information Technology, Engineer Muthanna Al Gharaibeh and CEO of Orange Jordan, Thierry Marigny inaugurated Mafraq Knowledge Station yesterday, which falls under the Orange Digital Umbrella. The inauguration took place in the presence of Mafraq Governor, Hassan Al Qiam, partners of the project, in addition to the Ministry of Information and Communications Technology, National Center for Information Technology and The Jordanian Hashemite Fund for Human Development (JOHUD). On this occasion, Engineer Al Gharaibeh said that the launching of knowledge stations stemmed from His Majesty’s vision to transform the Kingdom’s economy into a knowledge based and digital economy and offering services to reach all citizens across governorates. The Ministry is currently working in partnership with the private sector companies to find innovative and entrepreneurial ways as well as new dimensions to benefit from knowledge stations, to serve the local community and B2B business incubators and realize development for the residents of the governorates. He praised Orange Jordan for supporting and adopting different governmental initiatives which aim to spread technological awareness in general and its continuous efforts to support numerous knowledge stations. From his side Mr. Marigny said that Orange Jordan through its active contribution in the digital transformation process in the Kingdom, launched the Orange Digital Centers umbrella previously, which comprises different cities across governorates, affirming that the company, through its digital umbrella will provide the stations with integrated telecom solutions, where the number of beneficiaries is expected to reach thousands, and refugees will be included in the training in cooperation with United Nations High Commissioner for Refugees (UNHCR). He added that the Mafraq Knowledge Station was launched along with other stations in the Kingdom’s governorates, under the umbrella of Orange Digital Centers, in cooperation with Orange Jordan’s partners in this important project, stressing that this project stems from the company’s commitment to achieving His Majesty King Abdullah II’s vision to build and empower the community in terms of knowledge, the thing which falls in line with the company’s five-year corporate strategy, “Essentials 2020” which prioritizes bridging the digital divide and maximizing the benefits from the internet across the Kingdom. The tour also included a visit to the Jordanian-German Center for Excellence in Solar Energy, which was established through a grant from Orange Jordan and worth half a million JD, falling under its special solar energy project in the Mafraq Development Area. The center works to train and rehabilitate Jordanian youth in the field of solar and renewable energy. Al Gharaibeh praised the efforts exerted by the center in adopting the capabilities of the youth and them on solar energy in terms of design, implementation and maintenance of photovoltaic power to ensure the provision of entrepreneurial opportunities for Jordanian youth and contribution in making Jordan a center for exporting services. Marigny stressed on the importance of the Jordanian-German Center for Excellence in Solar Energy, which aims to exploit the potential of Jordanian youth, providing them with the necessary skills to enter the labor market, which will contribute to reducing the unemployment rate and increase youth participation in the development process.